A truly sweet vacation destination! What kid wouldn’t want to explore a real-life Candyland? What adult wouldn’t want to, either, for that matter? The appeal of the deliciously fun Hersheypark is hard to deny: there are around 70 rides, multiple pools and waterslides, tons of shows, a zoo, and much more… and it’s all themed after your favorite candies. Mmm! The main attraction of Hersheypark for many is the theme park. They have 13 roller coasters, ranging from thrilling to gentle (including the first looping rollercoaster on the East Coast, which has been taking fans for a ride since the 1970’s), plus a Ferris wheel, bumper cars, a carousel, and tons more. And don’t forget your swimsuit, because they’ve got a great waterpark as well— it’s the perfect place to beat the summer heat. And make sure to keep your eyes peeled for the costumed characters and fun, family-friendly shows! 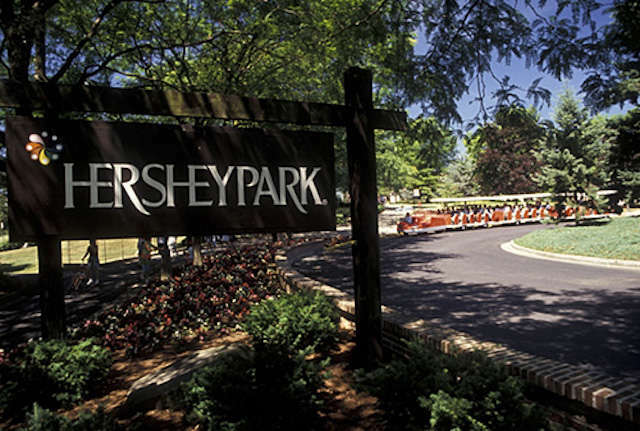 And Hersheypark makes it super easy to RV to this tasty wonderland with their Hersheypark Camping Resort. Two pools, movie nights, live entertainment, fire rings and more make camping out here the perfect way to spend an evening. And top your trip through the park off with— what else? S’mores! It’s the ultimate end to a sweet day of candy-centric fun.